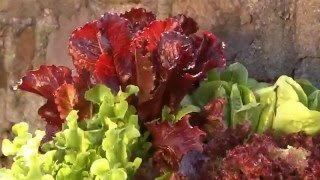 Gorgeous in the garden and salad. Large-leaved new bronze-red cos is the stuff of salad dreams. The leaves’ ravishing color brightens up any salad. Mildew resistant. Lettuce, King Crimson is rated 4.3 out of 5 by 3. 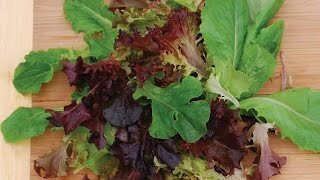 Rated 5 out of 5 by Backyard nutrition from Great Romaine! Had very good germination & great production. Plant looked just like burpee's pictures. This plant is very enticing too look at, it literally screams high nutrient content. When first row is half grown in height, plant second row for constant harvest. This is my favorite romaine, and the only type I plant now. Rated 5 out of 5 by JerryC from Interesting and distinctive salad addition First time growing this, and will buy it again. Easy germination. Heat tolerant. Next year I'll plant at intervals.